To paint with thoughts is to possess the colors of sensation so intense that the daybreak they create abstracts new worlds. The gaze thus becomes an eyepiece of unutterable landscape of transposing into spheres of life within. What does every single reality mean when the scenography of thoughts is filled with fervor from some other poetics occurring? Verity does not reside in the visible, but boards within interior of aspirations for sensations even more real than reality. The wish for life awakens in meager moments of its absence, and pasts themselves become faucets from which manifest, boiling existence predating life, flows. Life then, is nothing but an occasional drop of delirium within dislocated relays of forgotten sources. Which is exactly where Fernando Pessoa draws his force of poetically philosophical allocution from. What his entire persona does, neglecting the life in favor of life within, is freeing itself from desire to be fully accomplished. In society which holds action in higher regards than originative strength of imagination, what is left is only the dream of thought as a game of fateful solitaire in growing night. This is exactly why his poetics is recognized by those yearning for the freedom of the absolute, empty space of glassy sensitivity and repressed sentimentality. Accepting the nothingness is something of a Messianic feat of multitudes, raised in labyrinth of causes and consequences, with no possibility of exiting or fathoming fate’s transits. The only things that exist are wanderings of the body in ambivalent space of desire. 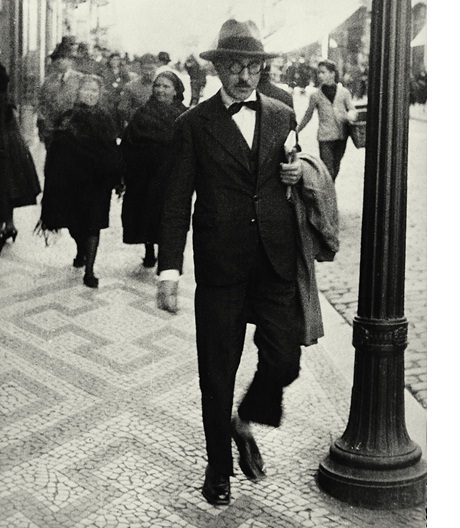 In his own blood, Pessoa gathers printed future in letters. He is philosophus per initationem or per inspirationem, as Derrida claims is the case with Mistagog, as the one who wishes to seduce and lure by initiation. However, Pessoa is a reverse Mistagog, he wishes to be seduced and lured as close to the body of meaning as he can get, but it always eludes him; so, in order to defend himself from vulnerability, he denies it, pushes it away lest he gets pushed away, and this frenetic battle lasts indefinitely, until the entire Cosmos is weary in its indefiniteness. Pessoa’s additional dread is enhanced by dissolving bareness of desire’s manifestation. It is in desire that space of suffering is accomplished. Desire itself is the scenography for life-from-within. Thus, through oneiric aspects, Pessoa writes about desire for traveling, pointing out afterwards that desire was aimed only as a voyage into the inside of Self, into the very core of desire, so he writes: “I enjoyed in advance in pleasure that voyage will grant me, an hour there, an hour back, with varied appearance of a river and its atlantic confluence. But actually I was lost along the way in abstract thinking, looking without seeing beloved landscapes to which I rejoiced gazing upon, and on the way back I misplaced myself in taking notes of these impressions.” In regards to that, he concludes that the marriage of reality and imagination is only possible as simultaneity of subjectivity and objectivity of sensation: “I have to choose what I despise: either dream that my intelligence loathes or action that my sensitivity rejects. Acting, for which I was not born, or the dream for which no one is born. As I detest both, I end up choosing nothing. But, as in certain occasions I have to either act or dream, I merge one with the other.” This merging of dream and awareness is what creates perceptive experience necessary for artistic moulding of what, with Pessoa, is made as a sort of rapport chaos of thoughts. Crocheting with senses of craving. In certain case, his sensitivity is reminiscent of the one of lone walker Jean-Jacques Rousseau who writes down his diary of dreams, without any particular plan, where among other things, he notes that on Earth he feels “like on some foreign planet to which he fell from the one he used to live on”, making it look as if that planet also shares Pessoa’s origins. While Pessoa deems his quiet strolls through “one large, friendly multitude, nudging with words in the great procession of Destiny”. He admits wholeheartedly Rousseau’s creative intelligence but not his socially enslaved sensation emerged due to him being unadopted by society. Both of them cherish sentimental rethoric of lyrical prose which is simultaneously rife with tension, longing, passionate bitterness and scission of desires’ opposite urges. Something else they have in common are imagination and excellence of style through which they attach magnified meaning even to daily deeds via herbarized inner states. 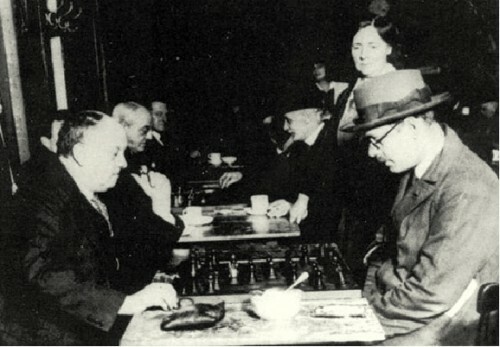 However, Pessoa does not long any more for “shells from sea shores” and instead enjoys his restraint from complete action, while his indifference becomes a kind of relic that he keeps from utter doom, while Rousseau still misses earthly pleasures but distracts himself because of his contempt for pain and injustice inflicted upon him. Still, Rousseau concludes: “let us, hence, hold onto the one system that is worthy of making us happy despite destiny and people”. This system is akin to Pessoa, all the more since it is about system of imagination on account of life, which in parallel builds a thought’s dream scenery on lethargic stage of reality, on which elements are set like memories of rambling moments. It is such sensations that shape the scenography of thought that Pessoa carefully arranges through elements of estheticized feelings. Scenography is not a real place, it is reality’s background shaped in order to seduce, it is the illusion of saying. It ensues on basis of reality, but the elements it constitutes in the end are, like with Pessoa, imaginary events, abstract impressions, hypertrophied feelings, all of those true in its sketches, but illusory in its form. Scenography as representatio of reality, presentation, by which the being is set up as a scene, that is it translates into a picture. Pessoa’s scenography of thought consists of vital word syntax that create cosmic acts and transcendent perspectives, while depth is gained through law of metaphysical lucidity. Dreams and illusions share a common thread with colossal processions of feelings past. Processions of thought which Pessoa sees as perished civilizations and empires crumbled, appear as myths and fictions disappeared in dead intentions. 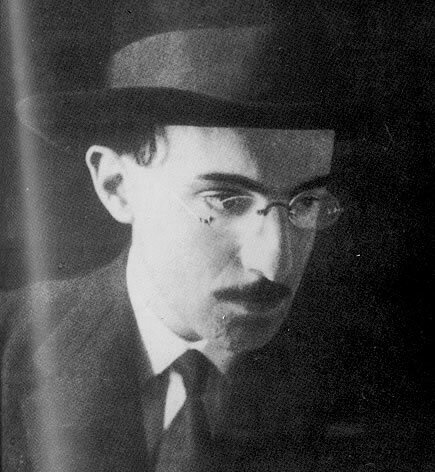 Dread expressed indifferently in Pessoa’s inscriptions via mention of emperor Sever: „omnia fui, nihil expedint – I was all, nothing is worth the effort”, and so, finally, scenographies too are emptied after greatest shows, destroyed and forgotten like the thoughts of civilizations buried beyond tangibility. That’s why he asserts that Greek art is grand, because the Greeks have, through beauty, harmony and proportions, transmitted their internally available sensitivity. When art was once realized as expressing emotions, everybody could engage in it, because everybody has feelings. Pessoa is like the life that writes itself, retroactively, what is happening to him in the present will become an event in hindsight. Thereby, illusion is the only thing fruitful, for it is the origin of real. 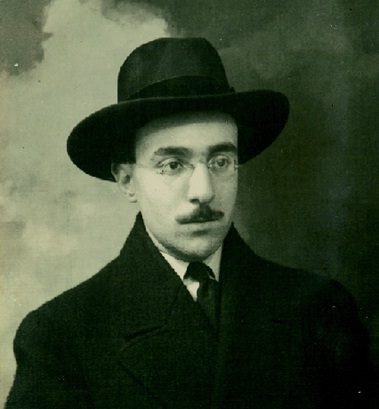 Pessoa’s disgust for world leads to longing for nothingness, for Inferno in chasm of neutrality. He is a symptom of infirmity of direct confrontation with systems in which sympathies are always sans love. True logic of hell is in others’ indifference to us. 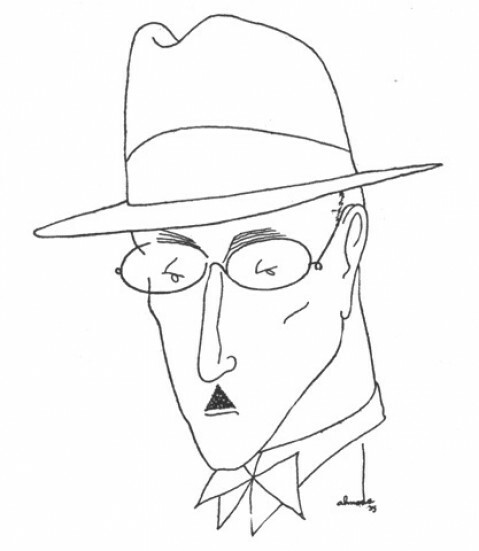 In Schopenhauerian terms – the will for life does not necessarily need life, will alone is sufficient, which is something Pessoa feels deeply when he writes “real life disturbs me like a boiling hot day”. 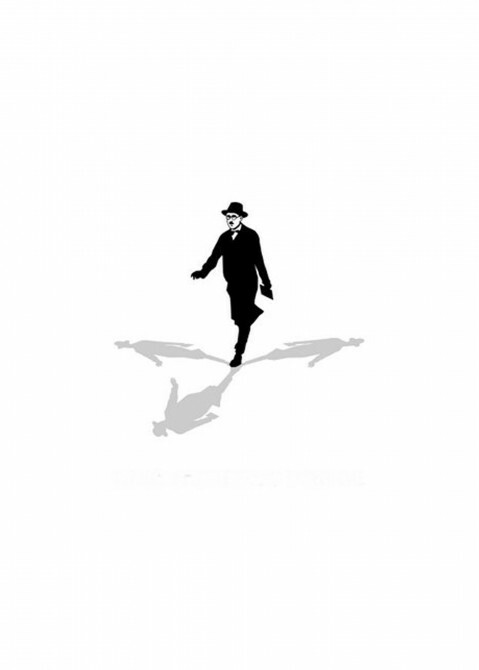 In the spirit of his non-Aristotelian esthetics, Pessoa shows that life can be more than lived, in another way, through internal sensitivity enacted by scenography of thoughts. All those insights gradually reveal a moral decay of individual who, due to excessive sensibility, can not come to terms with motions of modern man. Therefore, composition of world’s image must also include a possibility of metaphysical dimension of reality. Here, it is about sheer deliverance through non-knowledge, through liberation from desire and need for social apparitions. To not be destined for reality can be interpreted as a desire for liberation from shackles of society and intersubjectivity of the many. One way of escaping it is art, or in Pessoa’s case, prose that, as he considers himself, includes all other arts since the entire world is contained in a single word. What is important is that rule of art according to which art is much less an outcome of tradition and more an outcome of nature. This means that the work of art is free in itself and does not depend on conventions and rules. Reality is merely a by-product of thinking habit and Pessoa stretches that habit to its very limits. By breaking free from habit, he broke free of destiny, overcoming the system of merging with the world and sacrificing his identity through Others that do not comprehend fragmentation themselves, but binding through multiplication. After all, all that we know is merely an impression that reality makes sense as reality’s order of values, but what is indicated is one question that remains ever since Descartes – de omnibus dubitandum – one should doubt everything, even if that means to gain separate identities in order to question the produced scheme of esthetic relation within category of reality. And so, by reading Pessoa we read ourselves in scenography in which we play multiple roles and sense multitude of states of (for now) single soul.